Three small pendants are radially spaced in a circle 35" in diameter in the Tigris. The curved arms form a helical pattern whose focus changes with differing viewpoints. Several pendants may be chosen for Tigris including Mini-Sushi, Lilia and Trillium. The Tigris can fit into any room. 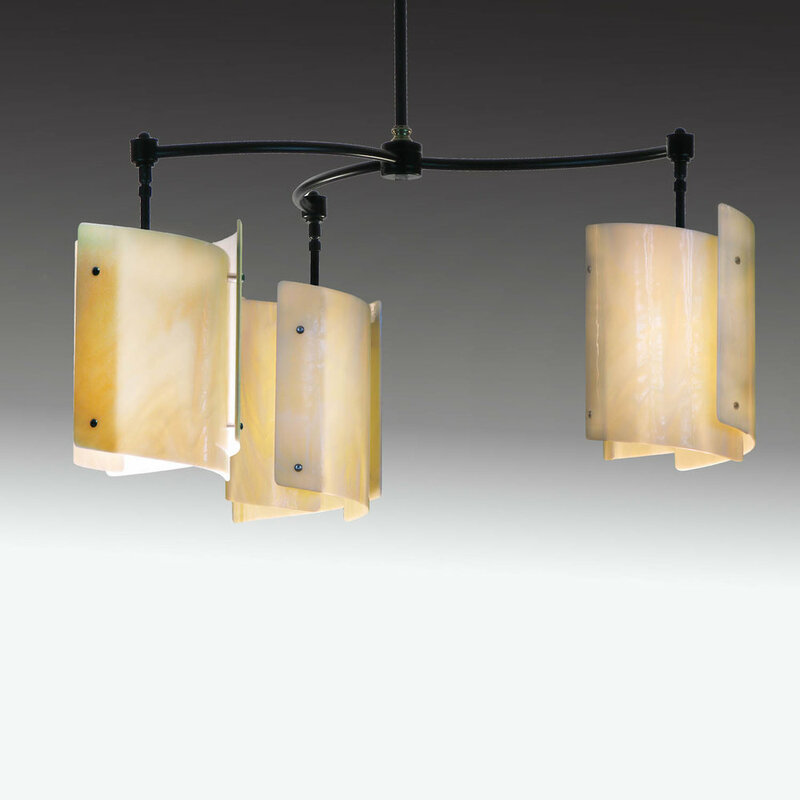 The gently curving armature lends a natural feeling to this elegant fixture. Excellent over a dining table or kitchen island, it gives a soft and flattering ambient light to the room with superb task down-lighting. Available in any of our more than 3 dozen art glass choices. Lamping: Max 3-100 watt incandescent, halogen, LED or compact fluorescent bulbs. Tigris mounts on a standard 4" electrical box, all hardware is included. Please specify the distance from the bottom of the light to the ceiling wall box so that we may cut the tube to the correct length for you.